For too long we have been getting the same old team photos, time and time again, but we continue to buy them because we want to keep those memories alive of our children enjoying their sport or activity in the prime of their youth. At Fotoflair Team Photography we have decided enough is enough, and have created a new range of team and individual portrait products that Mums and Dads are now excited to buy. We take away the hassle of clubs trying to organise photos, we handle it from start to finish.See below for more information. At Fotoflair Team Photography, we like to support local, so we are more than happy to discuss our fundraising options with your club. Do you photograph any style of club or association? We generally focus on photographing sporting clubs however we are more than happy to discuss if we are a good fit to accommodate your club/association. How much does it cost our club/organisation to book a session with you? We understand that the majority of clubs and associations are run as a not for profit, so we don’t charge the club/association for the shoot, meaning there is zero risk. Can our members purchase individual photos and packages of the images taken? Yes, individual photos can be purchased as an 8×12 inch print and cost $25. There are also several packages available and start from $39. For families with multiple children a sibling package is available which is super flexible. How do our members order their photos? We have an online ordering system where all registered members will be given a unique code to view their images and order in the privacy of their own home. Can the club/organisation choose which design and style we have for our final image? Yes, we welcome your ideas and can accommodate working together to create a final design that effectively represents your club/organisation. What do we need to supply you before the photo shoot? 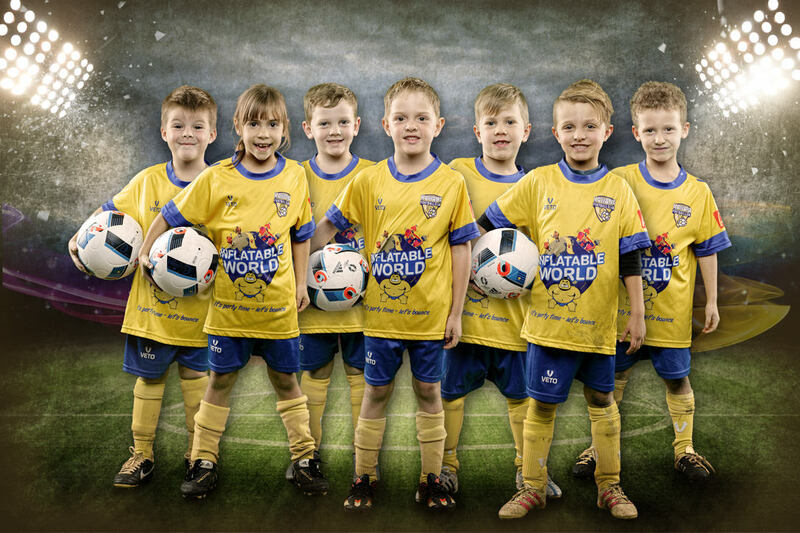 You will need to supply Fotoflair with a Full Team List of Names and groupings (age group, category etc) of your members presented in an EXCEL format at least two weeks prior to the photo shoot. There are a couple of options for communication between Fotoflair and the members of the club/organisation before, during and after the photo shoot and can be discussed with the President prior to booking with us. Do all of the members of the club/organisation get photographed? Yes, on photo day we will photograph ALL members of the club unless there are personal reasons why member should not be photographed. This will be discussed with the administration of the club before booking with us. How long does it take for the photo-shoot? The length of the photo shoot is dependant on the number of members in the club. It generally takes around 20 seconds for three photos to be taken of each member. This time will change if the club/organisation is requesting action shots of the members.